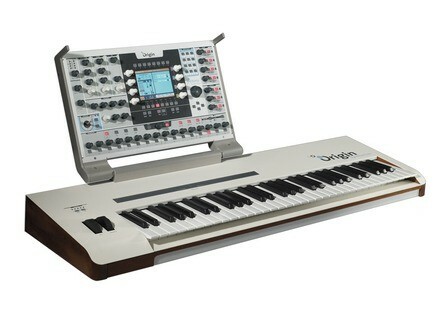 Origin Keyboard, Analog Modeling Synth from Arturia. 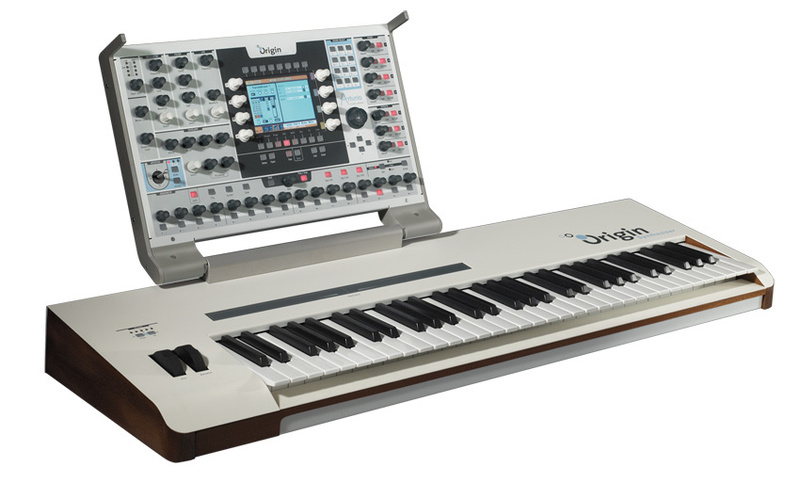 ARTURIA unveils version 1.0 of Origin Keyboard, the keyboard version of its first Hardware Synthesizer: Origin. Origin Keyboard lets you perform and create your music with a new level of dynamism, control and ergonomics. With a ribbon controller, a velocity and aftertouch sensitive keyboard, a joystick and numerous knobs, Origin Keyboard provides you with the control and playability needed to express yourself fully. the most demanding set-up situations. With its ergonomic design, all-in-one approach and intelligent kinematics, Origin is an invitation to a unique and gratifying playing experience. Origin is a modular system of a new generation, opening innovative avenues in sound design. Loaded with modules modeled on the best synthesizers of all time, Origin lets you combine these modules and benefit from the additional possibilities put onboard. Create your own patch by combining innovative modules and classic sound controls extracted from the Minimoog, the CS-80, the ARP 2600, the Moog Modular, the Jupiter-8, and the Prophet VS.
Modular system with more than 80 modules, some new, some excerpted from legendary synthesizers from the past. Superb audio quality with TAE® engine. 24 bits/96 kHz supported. 5.2” TFT screen for clear visual feedback. Korg X-50 Camouflage Edition Korg unveils a special camouflage edition of their X-50, sold exclusively in Japan. [NAMM] Virus TI Snow Access Music today announced Virus TI Snow, their new table-top synthesizer based on the award-winning Virus TI series of synthesizers. Waldorf MicroWave 2 The MicroWave II is a rackmount synthesizer with 10-voice tone generation, which features two oscillators per voice, two wave generators, a mixer, two serially-connected filters, a stereo amplifier, four envelopes, two LFOs, a modulation matrix with 16 slots and several “modifiers”.